Basketball star Brooke Pumroy Affair With Head Coach; Is She Pregnant? Home Article Basketball Player Brooke Pumroy Was Reportedly Pregnant With Head Coach Tyler Summitt' Child; Is The Rumor True? Basketball Player Brooke Pumroy Was Reportedly Pregnant With Head Coach Tyler Summitt' Child; Is The Rumor True? Love and cough can't be hidden. Likewise, Brooke Pumroy suddenly became an internet sensation with a controversy of love affair followed by pregnancy. It was jaw-dropping news with widespread but unconfirmed speculation on Twitter and multiple websites that she was having an affair with Louisiana Tech women’s basketball coach Tyler Summitt. The gorgeous blonde Pumroy is seemingly keeping a low profile after the controversy and hasn’t been spotted as of late. Let's get all the information about her that is available so far. Brooke Pumroy: Is She Single Or Dating Someone? Brooke Pumroy, a former starting point guard for the Louisiana Tech women’s basketball team was doing a great job before she abruptly quit. Since then, she is not seen in any social and news media. Seems like she no more wants to be in the public eye, whether it is for her career or personal life. Brooke Pomroy is most probably single as there is no record of her boyfriend and she hasn't been spotted with anyone lately. Looks like, she does not want to be committed to any relationship for some time. There is no detailed and reliable information about Pomroy's personal life. So, one can't say anything until Pumroy herself speaks regarding her relationship status. Also Read: Charissa Thompson of NBC is divorced. She is now dating with basketball player Jay Williams. Hopefully, Pumroy is happy with the life she chooses and she will soon be back as a guard. We can only wish for her happiness wherever she is. 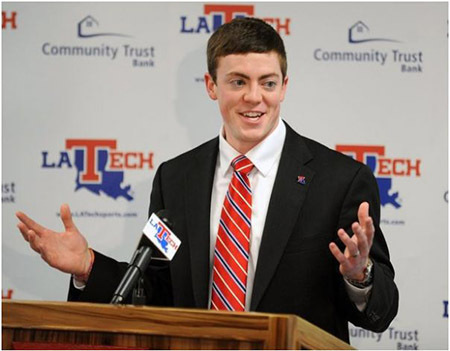 Brooke Pumroy: Is She Pregnant With Head Coach Tyler Summitt's Child? Brooke's sophomore season as a starting point guard for the Marquette women's basketball squad was excellent. She started all 33 games for Marquette, averaging 9.1 points, 5.2 assists and 3.2 rebounds per game. She played two years there under the coach of Tyler Summit. After her sophomore year, Pumroy transferred to Louisiana Tech women’s basketball along with teammate Ashley Santos and ironically Summitt was hired as Louisiana Tech’s head coach. As a freshman at Louisiana Tech, she averaged 7.5 points, 2.3 assists and 3.1 rebounds per game in 30 starts. Pumroy was enjoying her career as a starting point guard at Louisiana Tech before she was dragged into a controversial issue of having an inappropriate relationship with the head coach Summitt. Her teammate's parents accused the coach of favoring Pumroy among others. Santos's father Jose Santos told that Ashley talked about the matter to assistant coaches, but nothing was changed. Pumroy became a talk of the town overnight when she was rumored to have an affair with the head coach Tyler Summitt, as Summitt was suspicious of impregnating a player. Summitt was also reported to have alleged relationship with one of two players who had transferred in from Marquette in 2014. Those players were Ashley Santos and Brooke Pumroy but when Santos denied the pregnancy news with a tweet, Pumroy was the only suspicious left. Following the rumor, Summitt resigned from the post of head coach of Louisiana Tech women's basketball team and accepted that he was having an inappropriate relationship with one of his player but he refused to speak in detail. Those incidents resulted in a divorce from his wife AnDe Ragsdale. It's all mysterious what actually happened between Pumroy and Summitt after the controversy. Not much is known about what happened to Brooke Pumroy after the scandal subsided and nobody related to her is ready to talk regarding the controversy. It's a complete secret whether she had a baby or not. Brooklyn Paige Pumroy was born on 16 November 1993 in Fairborn, Ohio. She is a daughter of Rick Pumroy and Michelle Pumroy. Her father is a home inspector and her mother is a dental hygienist. Her brother is Jordan Pumroy. 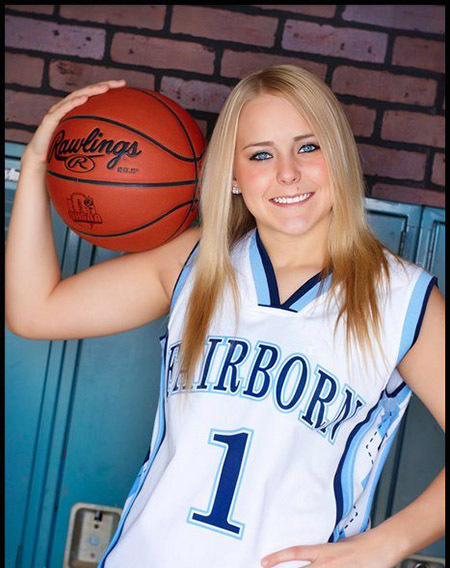 She attended Fairborn High School and later played for Marquette University. She stands at 5'9" (1.75m).